This exciting tale of self-discovery and second chances is also filled with humor, heart, and mystery. Tennis all-star Jenny Lee is just as well known for her acerbic wit and temper as she is for her powerful serve, but when a career-ending injury halts her rise to the top, she discovers that she can’t trust anyone, including herself. 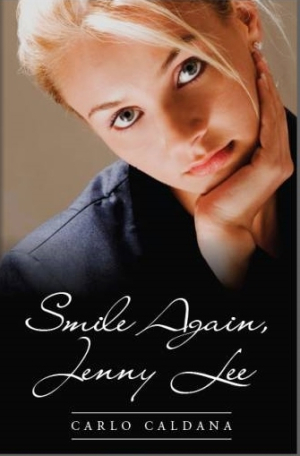 In his latest novel, Smile Again, Jenny Lee, writer/filmmaker Carlo Caldana delivers a heartwarming tale filled with unexpected twists, humor, and mystery. On her way to the top, Jenny doesn’t concern herself with public opinion or media goodwill. She lives and breathes tennis, much to the chagrin of her socialite mother, a world-renowned pianist. When an unknown assailant ruins Jenny’s knee, her chances to compete professionally end abruptly. Financially drained thanks to her agent, cut off by her put-upon mother, and hounded to join an unwanted business venture by her ex-manager, Jenny is inspired to track down her absentee father, Howard Dancy, a man she scarcely remembers. Her search unlocks long-buried secrets, and forces Jenny to reexamine her outlook on life, love, family, and herself. Beginning with a thick, gray San Francisco fog, Caldana’s use of weather serves as an emotional gauge throughout. Jenny’s search for her missing father turns up more than she expects, and the road is full of intrigue, culminating with a dangerous snowstorm. Caldana has included several plot twists, and it seems like the more Jenny learns, the less she really knows about the people around her. Amnesia, sabotage, love affairs, mobsters, murder, and general mayhem all play a part in the mystery surrounding Charles and Jenny’s search to find Howard Darcy. The result is an exciting tale of self-discovery and second chances, as well as moments of pure sunshine. Smile Again, Jenny Lee has something for everyone. Infused with mystery, action, reflection, sports, and relationships, it will appeal to both older teens and adults. Caldana is currently in preproduction for the film version of Smile Again, Jenny Lee.